Are you getting ready for a new term in January? Here are our top tips and tools for the new year. Look out for your Lent pack being mailed to your school this January. 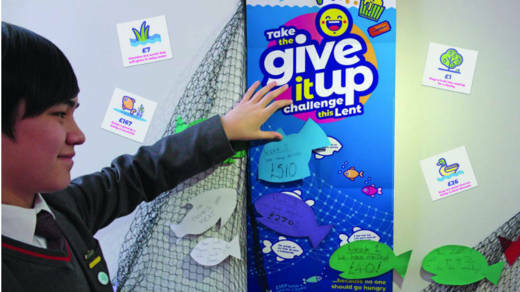 It's packed with ideas to help children and young people give it up this Lent to help tackle poverty. Find online resources including assemblies and resources for prayer and worship. Our pupil-led collective worship resources for Catholic primary schools and secondary schools includes a simple planning template and guide, plus loads more ideas for children and young people to plan their own collective worship. Take a look at our updated education webpages to find resources to learn, campaign, pray and fundraise with primary and secondary schools. Contact us to find out about our amazing team of trained volunteers who are visiting schools this term to deliver assemblies and workshops.